"The Flix Premiere Challenge rallies movie fans across the world to use film as a medium to create awareness for the need for cancer research," says Martin Warner, CEO and founder of Flix Premiere. "Cancer is the leading cause of death in the United States, and impacts millions of families around the world," says Martin Warner, founder and CEO of Flix Premiere. "It's a tragic story whose ending we need to change, and we can only do this together. Our campaign rallies movie fans across the world to use film as a medium to create awareness for the need for cancer research." Founded by serial entrepreneur and film producer Martin Warner, Flix Premier is the world's first online movie theater that offers carefully curated theatrical releases of world-class film productions. By combining curated theatrical releases with on-demand availability, Flix Premiere offers a single destination to discover brand new movies from award-winning movie directors, break-out stars and the new voices of global cinema. 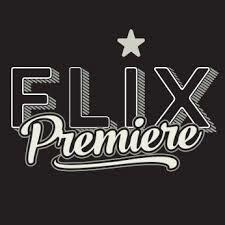 Every 10-14 days, the Flix Premiere online platform offers viewers 8-9 new exciting movies, exclusive to the site. In addition, Flix Premiere viewers can enjoy theatrical releases of movies online, offering a red carpet experience at home with behind-the-scenes footage, cast and production interviews and much more. Flix Premiere films span a variety of genres, including drama, comedies, documentaries, and animations. The company has offices in London, New York and Los Angeles.